This is my Veggie Feeding for Dummies post. It would seem the advice I will give is pretty obvious, but you would be amazed by the amount of mothers I 'meet' online who have no clue on how to get their toddlers and kids to eat vegetables. 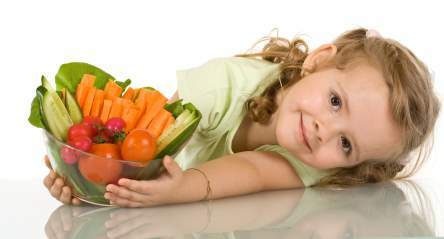 While there certainly are kids who will not like vegetables even if you follow this advice religiously, there will be few. First, why are veggies important? Well, there are a myriad of reasons. Green vegetables can actually prevent and maybe even cure cancer, nutrients and vitamins in veggies are essential for eye sight, brain development, and pretty much all other functions of the body. It's an irrefutable fact. I believe there are only two ways to encourage your baby to eat vegetables naturally without bribing or coercion. They are really simple and require nothing special other than actually buying/growing and eating vegetables (gasp!). Loving vegetables starts in pregnancy! If you want your baby to enjoy vegetables - eat them before they are born. Studies show that babies acquire taste preference in the womb. If you are downing fries and burgers through pregnancy, please don't expect your baby to like veggies. It is possible, but highly unlikely. That pretty much explains why so many kids of obese parents suffer from obesity themselves. The apple doesn't fall far from the tree. Just a simple example, I always enjoyed vegetables because they were always available and part of our meals when I was a child. When I was pregnant through the summer, I pretty much lived off of fruit and veggies. Some women crave fries, some crave meat, I craved blueberries really bad. I had a steady supply of blueberries nearly every day all through the summer because they were more affordable than they would be in the winter. Guess what baby E's favorite food is? That's right, blueberries. Coincidence? I think not. In addition to that I ate salads in heaps every day, made with a variety of vegetables. In turn, baby E will eat any vegetable now, anything from celery, to onions, and tomatoes. Monkey see monkey do. If you don't eat vegetables on a regular basis, don't expect your kids to eat them. When we sit down to eat breakfast, lunch or dinner, there are always fruits and vegetables on the menu - and not just for the kids. We all eat them. The baby eats what we eat. I'll say that again. The baby eats what we eat. Even if she will look at something and not want it at first, when she sees me eating it - she puts it in her mouth and eats it. I don't force her or tell her to eat it. Babies and kids learn through deeds. Simple. The easiest and most simple way for us to enjoy veggies with a meal is quick salads. I usually make a mix of some or all of the following (organic when possible, especially for the dirty dozen): tomatoes, cucumbers, avocados, steamed beets, romaine lettuce, black canned olives, celery, green onions, garbanzo beans, red or green peppers, and spinach. I prefer to avoid canned vegetables because of the presence of BPA in cans, babies are especially susceptible to its effects. If the above hasn't worked for you, there is still hope in hiding vegetables in meals! Though that only works up until a certain age since you can't be controlling what your middle and high school age kids eat when they're not home. There is also the option of having kids grow the veggies with you, then they are more likely to try them. You can also cut out fun shapes, make faces out of veggies, and look into bento box art. PS: From now on the Glimpse into Eco-Babyz posts titles will start with GIE #__, for the sake of shorter titles! 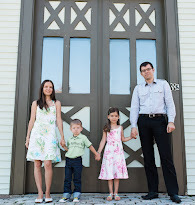 A Glimpse into Eco-Babyz #24: Baby E is 2! This is very important in our house now that our LO is 10 months. Luckily he loves his broccoli as well as green smoothies with kale, fruit and yogurt. I just hope he keeps liking them as he gets older.